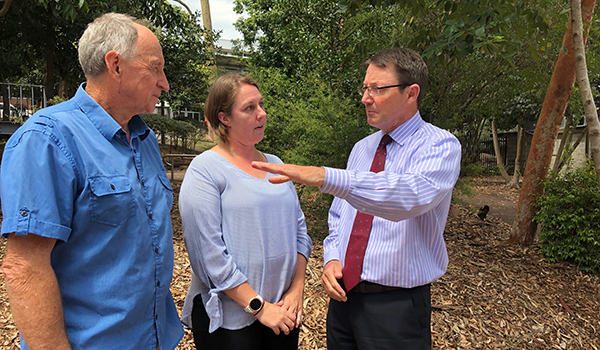 Announced yesterday by Parliamentary Secretary for the Hunter, Scot MacDonald, researchers from the University of Newcastle received a $300,627 Saving Our Species grant to investigate the threats to vulnerable amphibians in protected habitats. 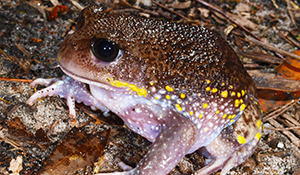 Led by Dr Alex Callen and Kaya Klop-Toker with Professor Michael Mahony, the project will help secure the long-term survival of five threatened frog species in New South Wales, including the stuttering frog, Littlejohn’s tree frog, Davies’ tree frog, glandular tree frog and the giant burrowing frog. 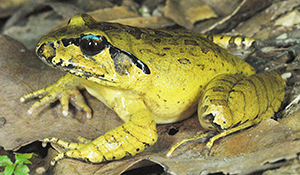 “We aim to gain a better understanding of multiple threats to these native frogs in order to develop and apply successful management practices,” Dr Callen said. “Populations may recover when there is just one threat, but multiple threats can have a devastating effect on survival. It’s particularly concerning that these species are disappearing from protected areas, including national parks. 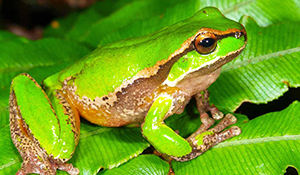 The project will engage interested citizen scientists to help identify frog species by their call and deploy auditory data loggers that can continuously record sound for further analysis. 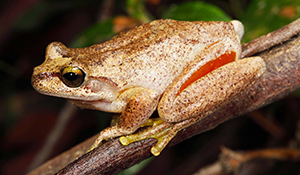 A campaign will also be launched to encourage the use of the Australian Museum’s free FrogID app to record observations of these species, which together will improve the understanding of distribution and abundance of these particular amphibians. The University will work with the Office of Environment and Heritage, Blue Mountains National Park, Blue Mountains World Heritage Institute, Barrington Tops National Park, Watagans National Park, and Werrikimbe National Park. The Saving our Species Contestable Grant Program is a partnership between the Saving our Species program and the NSW Environmental Trust, investing $100 million over five years to secure the future of NSW threatened plants and animals.